I was having same problem as many: No such file or directory for the headers ZXingWidgetController.h and QRCodeReader.h. I solved the problem by adding the directories not only to “Header Search Paths” but also to “User Header Search Paths”! Your pages is helpful for me. Well done. Nice tutorial. Works! Step 1 didn’t show the mentioned dialog. When I did, it was a massive help. For my PhoneGap app, I also had to disable Automatic Reference Counting, remove the AudioUnit lib and add the AssetsLibrary lib to resolve compilation issues. I would not have figured this out without your excellent article, many thanks! Worked like a charm for me. Thanks a lot for your post. Do you have any ideas why this error occurs now ? Is this answer on stackoverflow helps you? Do you know why there’s this error? libZXingWidget.a is red and I not found in the directory. 1) Download the SVN version of the code, not the zipped code. 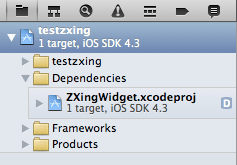 2) Check if you have set an absolute path to your ZXingWidget project. I got it working after doing these. Thanks for the tutorial. keep up the good work. Note: ZXing doesn’t support Barcode scan yet. SO use it only for QRCodes. Hi, Thanks for your great tutorial. By playing with the example file in ZXing i found that they are all using the AVfoundation the capture method. I would like to ask how can I use the old way which sending a UIImage to the decoder and decode. I would like to pick Image from Imagepicker. I installed ZXing in my project, but can not find examples to activate the camera and read a QR code. Thanks for your describtion! It helped me a lot! aaahh! it was my mistake. there was an empty line automatically generated between Debug and Release in Header Search Path. I deleted that and it is working fine.. Thanks for the great tutorial. Hey can u help me! 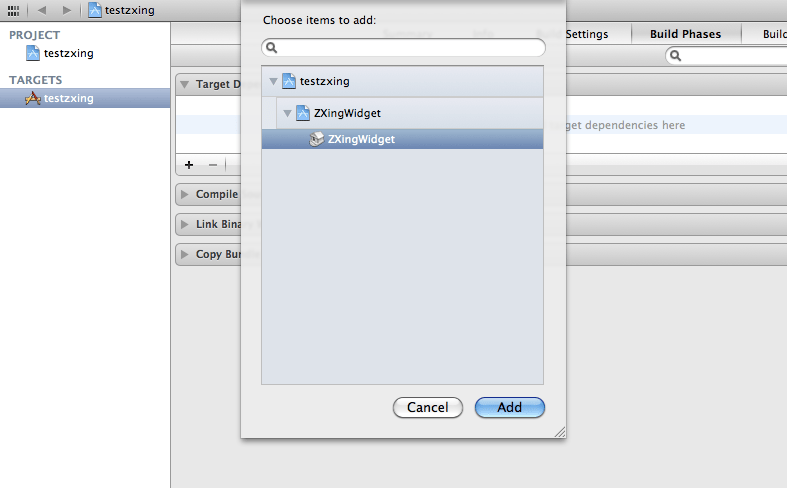 I am stragling with issue #import “ZXingWidgetController.h” file not found in my My App. How to over come with this? 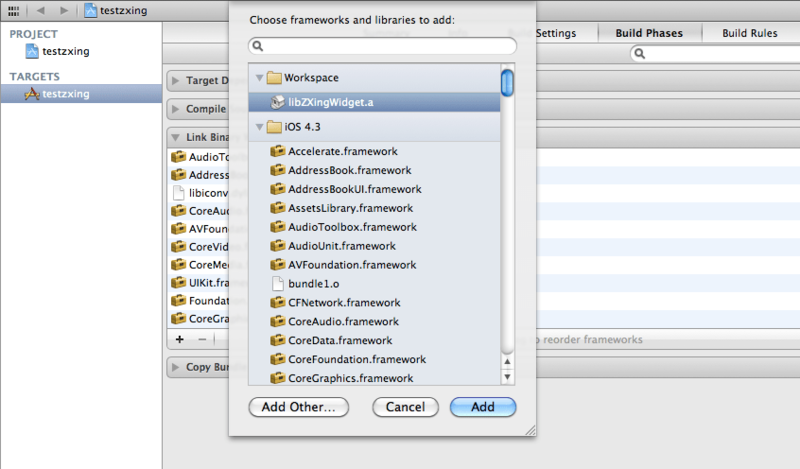 Pingback: Problen in to import #import ZXingWidgetController.h un iphone app? Guess what?, I’m using now ZBar it solved a lot of problems to me, if you want your app running with custom low-level features, and also a simple install process, go here: http://zbar.sourceforge.net/iphone/sdkdoc/install.html works fine for me, it’s up to you. Btw, congrats on this post, it’s awesome. Exactly, and this tutorial and even README won’t work as it is now, I mean on newer xcode versions.. I am using Xcode version 4.3.1 and deployment target is set to 5.1. Is ZXing integration not allowed with this version? Could you please help me out in resolving this?